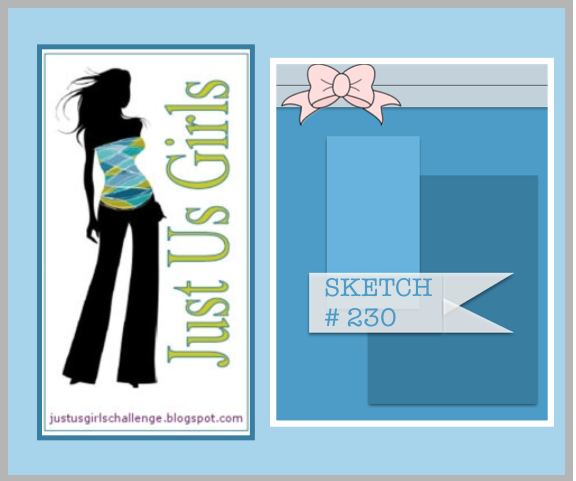 Vicki is hosting this week over at Just Us Girls and she has this Great sketch for us! sister for her Birthday…I realized I had altered the sketch a tad! I am the one the designed the graphic based on Vicki’s sketch. Well, I think it’s darn close enough! I hope you come on over and join us this week! Melissa Hubert for being with us this month! Now, Come on over to Just Us Girls and get Sketchy with us! for the month of March…. I Love this new Stamp Set I got from my Fellow DT member Sharyn! It’s from Stamp TV and is called A Little Something. and paper pieced my vase and flowers! Thanks Sharyn I can tell it’s going to be one of my new FAVS! Categories: Cards | Tags: Card making, Cards, friendship, Gkd, paper piecing, rubber stamps, sketch challenge, Stamp TV, stamping | Permalink. Hi Nancy- (waving frantically) What a stunning card!! I love the paper piecing and beautiful paper!! Now I wouldn’t have even noticed the panels, if you hadn’t mentioned it and even then, I think it still looks great!! Thank you so much for having me this month!! Hope you have a great weekend. Stunning card. Your color choice is fabulous how fun sharyn gave you this amazing set. Worked perfect for my sketch which btw you rocked it! I love I love your card and the awesome pink tones you used to create it. I love that stamp set from Gina anyway, so it was so nice to see how you used it. Love your colour combo and that is a great stamp indeed 🙂 As for the sketch – have done it many times before so you are in good (or maybe bad LOL) company! Beautiful card, Nancy! Great color choices! You are doing these stamps proud! Hi Nancy! This is beautiful!! What lovely colors! I hope your having a nice Saturday. I’m hoping to TRY and get crafty this weekend! I love that aqua vase against that pink background! The colors are just yummy. Your panels look great this way, isn’t that what they call creative license? Beautiful card Nancy. Love all the details. I just LOVE this card! No one would have known you didn’t follow the sketch if you didn’t point it out! 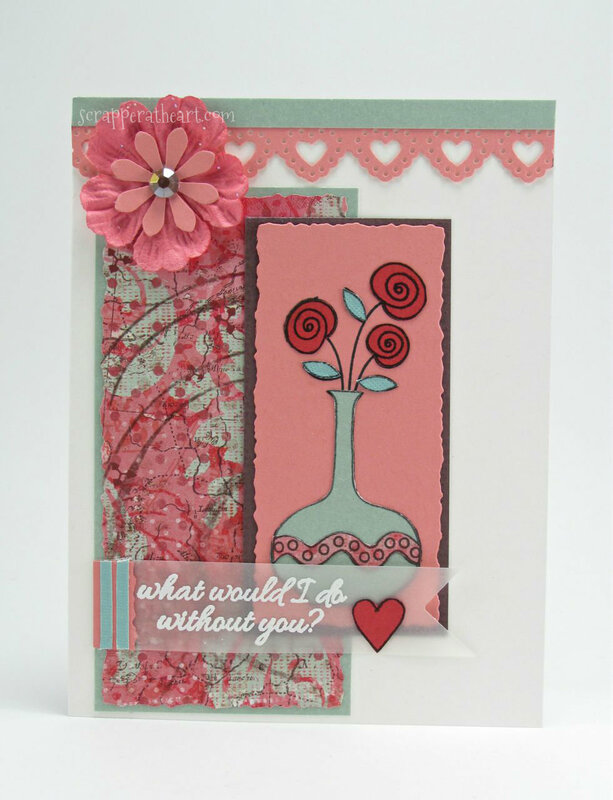 FAB colors and LOVE your stamping on the vellum!